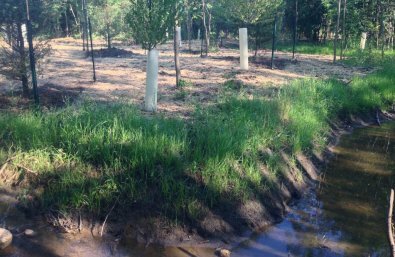 Ozaukee County will build on its fish passage work by completing a large-scale aquatic habitat restoration project in Ulao Creek, which is now available for spawning thanks to the removal of fish passage impediments. Ulao Creek contains over one-quarter of all potential northern pike spawning habitat in the entire Milwaukee River watershed. Ozaukee County will improve the quality and accessibility of that habitat through a combination of channel re-meandering, floodplain reconnection, wetland creation and enhancement, invasive plant removal, native plant restoration, and installation of fish and wildlife habitat structures.